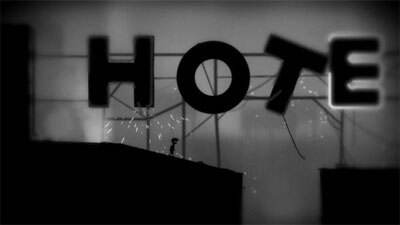 Limbo XBLA led me astray. 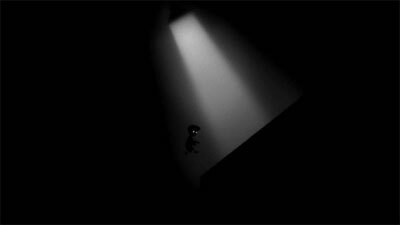 Deep into its dark void of platforming magic, and away from any thoughts of bikes. A ride in itself though, I'll be circling it for a good few evenings I think. As someone who has a ridiculously overactive imagination, I'm pretty easy to scare. That said, I love to be frightened a little bit and am addicted to things like horror movies. 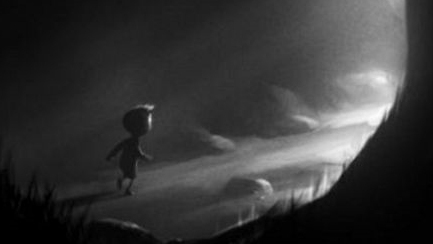 When I sat down to the opening scene of Limbo, little chills of glee tingled down my spine and a smile slowly crept across my face. 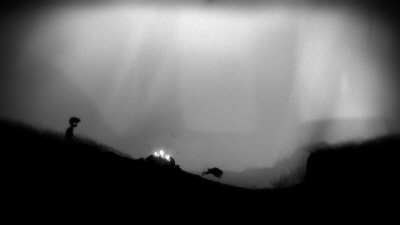 Just seconds in and I realised that this little black and white game wasn't going to let me have an easy ride. I skipped merrily along before suddenly being impaled on some nasty looking spikes and died. Although a little annoyed with myself for not seeing them, I was somewhat impressed with the game's ability to completely shock me so quickly. As I moved through the early stages, I was having quite a lot fun. Sure, my little boy got brutally murdered a few times, but I wasn't going to let that spoil my day. But I have a bit of a thing about spiders - they make me run away whimpering in the most ridiculous way. 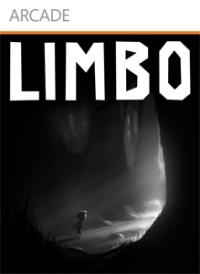 Limbo soon proved it doesn't matter if they're not real. Once I understood that those pointy bits weren't moving branches, but spider legs, my skin was crawling. Luckily, I had someone in the house with me while I was playing otherwise I probably would have completely wimped out and turned it off. 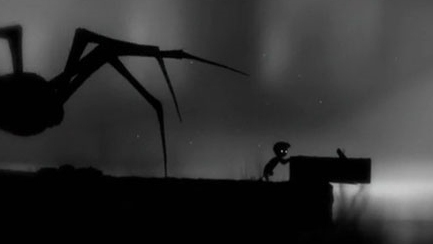 Limbo is beautiful. I'm a fan of black and white, and this game does it perfectly. 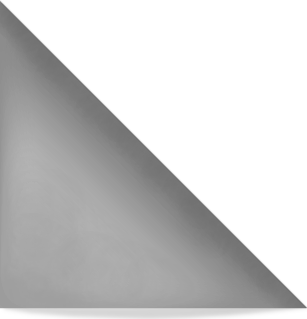 Nothing is overly sharp or focused as the game lumbers from grainy sections to areas shrouded in just too much darkness to see clearly. 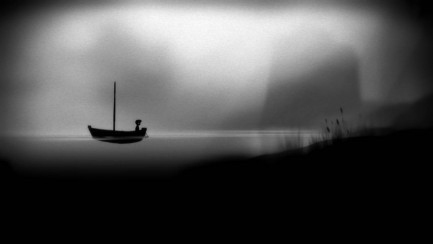 It felt sinister playing such a quiet game, this near-silence is distinctly menacing. The glowing butterflies and puppetry physics intrigued me. 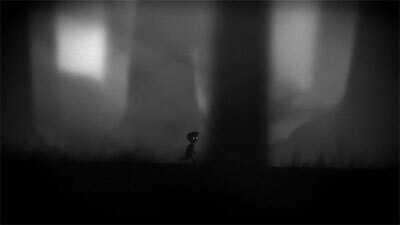 Limbo moves just like it looks - and creates an eerie ambience. 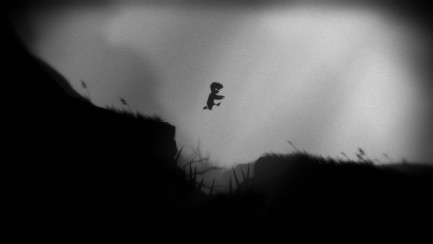 In fact, I've started playing Limbo through again just to experience that look and feel again. 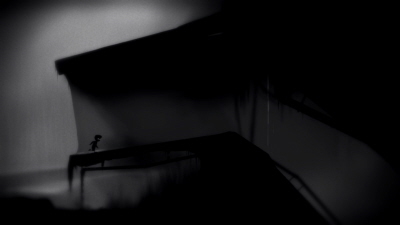 Limbo's minimal sound effects also built some real tension for me. But it wasn't until I realised there were clues to what was coming next in the music that I was really impressed. I loved that it is bereft of distracting background music. It makes the game feel fresh and bold. It felt sinister playing such a quiet game, this near-silence is distinctly menacing. Like moments in scary movies when the music drops out and you're left waiting, watching, straining to see what awful thing is about to happen. I wish the story could have been equally dark though. Supposedly, this little boy is "uncertain of his sister's fate" and so enters Limbo. I can half understand how this is relevant - with the quick glimpses of a girl in the game - but it felt like something of an afterthought. 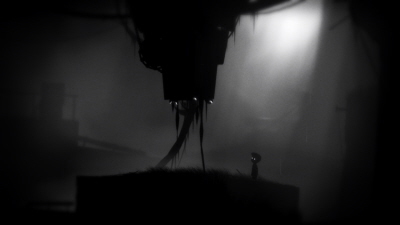 I enjoyed every drop of Limbo. 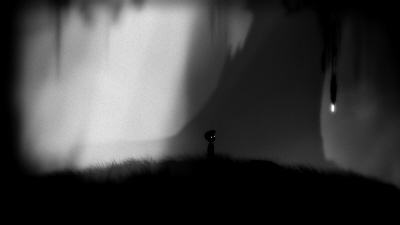 This is fine: Limbo doesn't need to be validated. 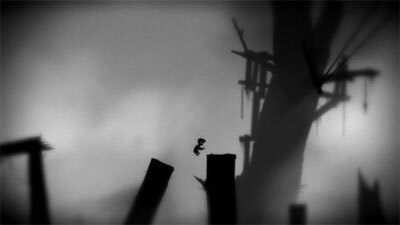 I enjoyed every drop of Limbo the first time through, and I think I'm doing laps right now - I just can't leave it alone. It's not often you find a game that appears so graceful on the surface yet underneath is so deadly. Tim Pestridge writes the Bike Gamer column. "I like bikes and video games because they both spark my imagination and provide seemingly infinite possibilities and just generally make me smile."